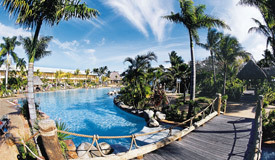 Fiji wedding resorts. 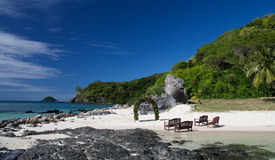 The best places to get married in Fiji. 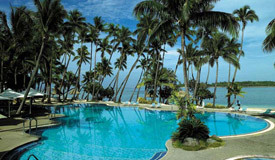 Fiji wedding resorts. 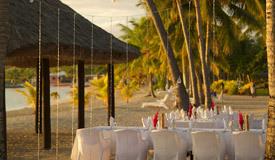 The best places to get married in Fiji. If small, boutique and intimate is what you like in a holiday then Matamanoa Island Resort is the perfect destination for you. 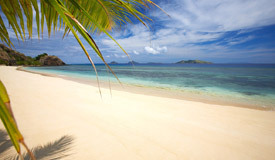 Lomani is the Fijian word for Love, and you will be sure to fall in love with this idyllic Fiji Island Paradise. 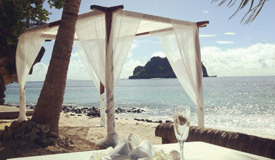 Malolo is an intimate resort with impeccable guest services. It’s about a bure near the beach, surrounded by the world’s friendliest people with a living and authentic culture. The resort was designed and built to reflect the true Fijian experience and way of life – it is where traditional Fijian village meets five star luxury! If your vision of a tropical island wedding is a private secluded affair, perhaps just your nearest and dearest, on a deserted long white sand beach, then perhaps you need to consider VOMO. 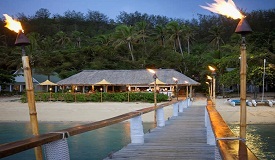 ikuliku Lagoon Resort is a unique luxury escape for couples, offering the only over-water bures in Fiji. LikuLiku is an adults-only resort. Castaway Island, Fiji is an iconic private island resort surrounded by white sand beaches and vibrant coral reefs, perfect for romantic couples with or without children. 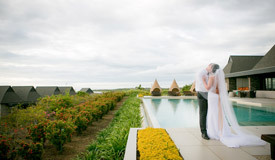 Set within the resorts lush tropical gardens, the wedding chapel at the adults only resort is a traditionally Fijian bure style building, complete with thatched roof, timber interior and traditional stonework. At once a sanctuary and playground, magical Mana offers blissful reverie to those who seek intimate peace and quiet, or spirited adventure for thrill seekers. Musket Cove Island Resort and Marina is a true South Pacific Paradise, ideal for a destination wedding, romantic honeymoon or just an escape. Plantation Island Resort is nestled on the 553 acre island of Malolo LaiLai, part of the Mamanuca Group of islands and is just 10 miles offshore west of Nadi International Airport. 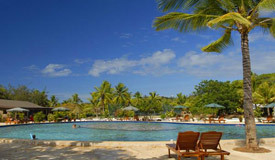 Family friendly Fiji resort offering great package deals. 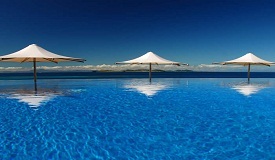 Hideaway Resort Fiji is for the rejuvenation of the body, mind and soul. 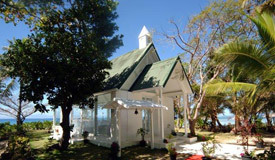 Hideaway is your truly relaxing location for a tropical wedding. 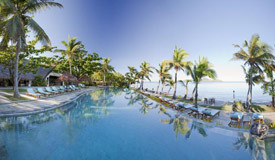 Perfectly positioned amidst sensational sandy beaches and lush tropical foliage, the Warwick Fiji Resort & Spa offers superb combination of luxurious lodgings, premium facilities, genuine warmth and exotic island paradise. Pure white beaches and calm blue lagoons surround this private island paradise of Yanuca. 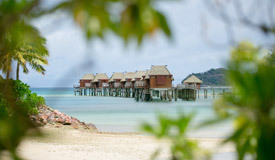 Treasure Island is one of Fiji’s most iconic island resorts with over 36 years experience in providing first class service. 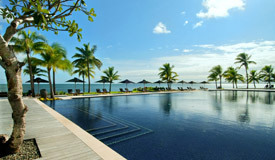 Beachfront boutique resort with private clubhouse area that melds contemporary luxury with traditional Fijian design. For sheer romance, a glorious honeymoon, your best family break ever or a golfer’s dream holiday, Hilton in Fiji makes the perfect setting. Jean-Michel Cousteau Resort is a tropical paradise that offers exceptional dining, lush surroundings and an eco-friendly outlook, whilst indulging clients with luxurious accommodation. 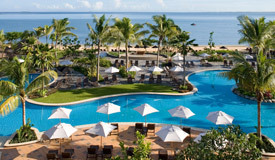 Sofitel Fiji Resort and Spa includes a private beach, wedding chapel, swimming pools, four restaurants, three bars, an international health spa, and the largest ballroom on the island. A bustling marina and cultural temples are located nearby.